Last Saturday we have run our first workshop on Geisha Inspired accessories, it was very successful and we have received good feedbacks. This Friday we will be at the Millennium Gallery, Sheffield. 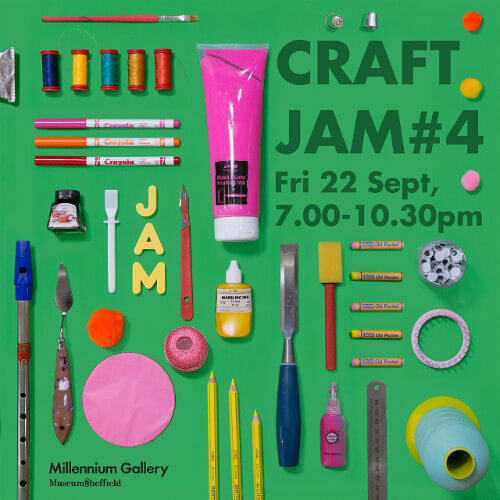 The Craft Jam is a half workshop and half craft market event. You will have a chance to see other local makers as well. It lasts from 19:00 to 22:30. Pop in and learn something new, it is FREE entry. Donation of £3 to the gallery is recommended.